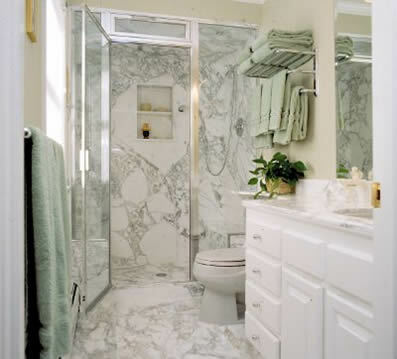 When it comes to bathrooms, nothing says style like marble. 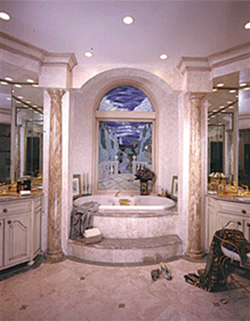 Marble's natural beauty has long been recognized as the material of choice with unlimited workability. A multitude of colors and incomparable patterns makes this natural stone the perfect selection for all times. Minimal care will reward you with everlasting beauty in any building application. 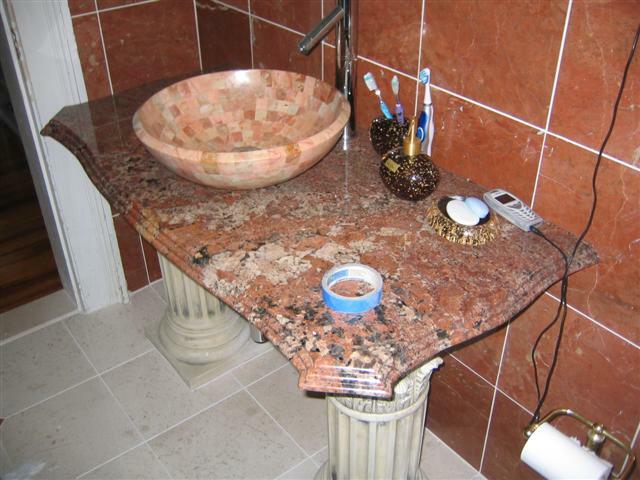 These bathrooms are finished floor to ceiling with warm earth tone marbles, travertine and granite. 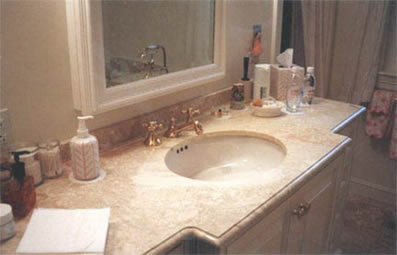 Custom edge detail ads appeal to this simple vanity. Full shower walls with matching tile floor. 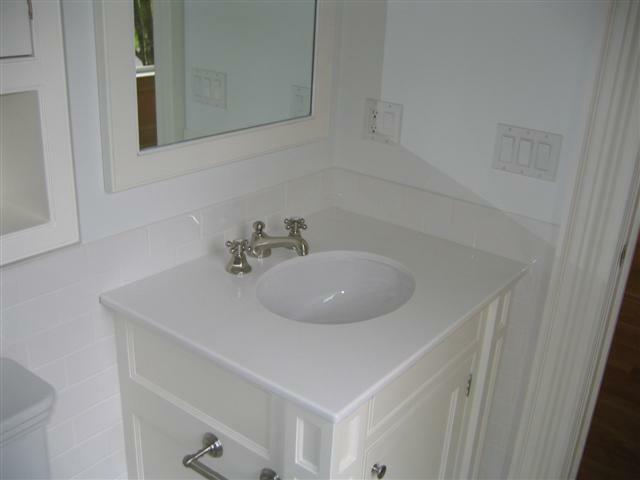 Simple white top is often used in second baths, gust bath, apartment or condo baths or laundry rooms. It can later be decorated with the occupants personal color choices or special touches. 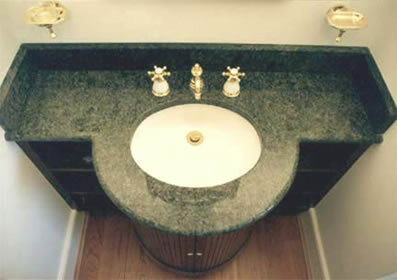 Mosaic marble vessel sink and granite vanity are perched on roman columns.